We all stood in amazement as Mull’s moorland teemed with life! 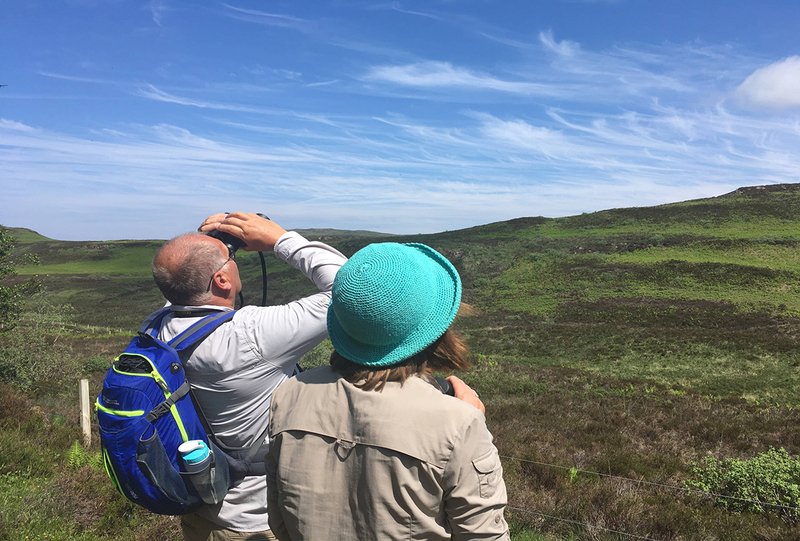 My guests and I were immersing ourselves in spectacular upland ecology on a recent Mull Nature Expedition, undertaking a short leisurely walk to delve deeper into the habitat and experience some of the wilder parts of Mull. 50% of Scotland’s landmass is an upland ecosystem and these habitats are heavily under recorded in terms of species abundance and trends. 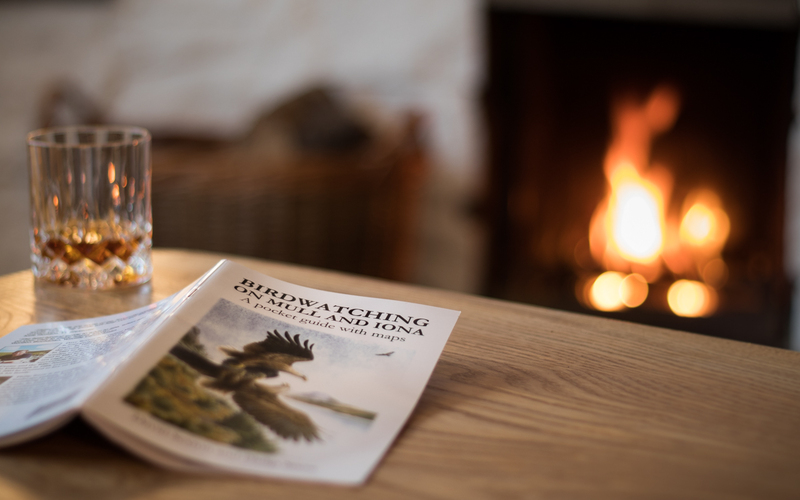 I am the British Trust for Ornithology (BTO) North Argyll Regional Co-ordinator and Nature Scotland is working with the BTO to record all of our avifauna sightings during expeditions on the moors of Mull. On a recent tour, we managed to input data that included 12 male Meadow Pipits on territory, 8 Skylarks in song, 2 occupied Whinchat and Stonechat sites, 8 singing Wrens and 3 separate Hen Harriers. 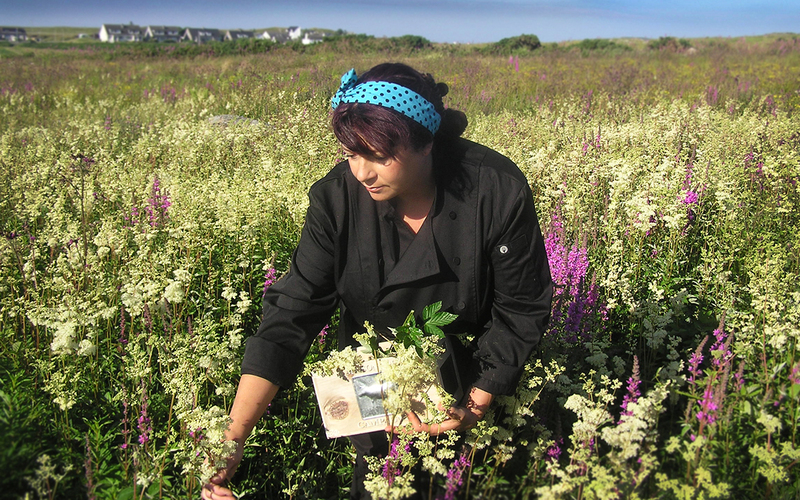 The invertebrate life that underpins the diverse fauna is also recorded to help provide a greater understanding of the biodiversity on the island. Dragonfly and butterfly sightings along with their co-ordinates are logged manually out in the field. The information is then entered to the online database once I am back in the office. Guests have the option to get involved in the citizen science projects by helping to spot wildlife, write down sightings and take co-ordinate readings using a device provided. After a lovely morning observing and exploring the moors we travelled to a nearby viewpoint to scan the habitat and have our packed lunch. Whilst enjoying our hot drinks, a distant Golden Eagle was seen in the spotting scope cresting a mountainous skyline. The emblematic species inhabits the wildest parts of the country from high altitude montane to inaccessible coastlines. One of the most exciting things about Mull is the large mixture of landscapes and habitats to explore. There are over 60 wildlife habitats recognised in the UK and the fabric of Mull possesses over 30 of those! On our Nature Expeditions we aim to cover a mixture of habitats by vehicle and on foot throughout the tour. After our lunch break we made for the coast to search for water-based wildlife. The Eurasian Otter is a real draw-card species and a very popular predator so we make sure to cover Otter habitat on every expedition. Another easy-going walk was undertaken to enable almost constant pauses to scan the surrounding shoreline for movement. An adult White-tailed Eagle flew right overhead with Harbour Seals visibly hauled out on nearby skerries. Whilst the otters remained elusive this time, we instead encountered a pod of Bottlenose Dolphins. They were working the coastline, surfacing in small groups and also showing sporadic breaching behaviour! We input any cetacean records into the Hebridean Whale and Dolphin Trust’s ‘Whaletrack’ app. The fourth national seabird census is being undertaken during 2018/19. We have been given the task of co-ordinating all survey coverage efforts on the Isle of Mull. Some of these efforts will be taken on Nature Scotland expeditions during the next two breeding seasons. During our afternoon excursion along the coast we managed to complete some census counts on breeding Razorbills, Kittiwakes and Fulmar. Education is at the heart of every Nature Scotland experience. I will aim to provide fascinating information on species ecology and anatomy, along with examples of how an ecosystem functions healthily when in a completed state. I will also raise any current conservation issues and threats to UK species. This helps to increase awareness and encourage direct involvement and engagement. Ewan runs the Mull based, award-winning eco-tourism operator Nature Scotland (www.naturescotland.com) and offers a variety of tours and experiences that can help you unlock some of the wildlife highlights of the Isle of Mull. Learn more about Mull’s wildlife ‘big five’ here. Whether your family is big or small, having plenty of space counts. Book a larger holiday home and you’ll have room to store toys, boots and outdoor kit galore, without any clutter. If you’re a family of wildlife lovers or who adore sea views, then The Old Ferry House could be just the place for you. For those who prefer privacy and seclusion, Craig Ben Lodge is an excellent choice. 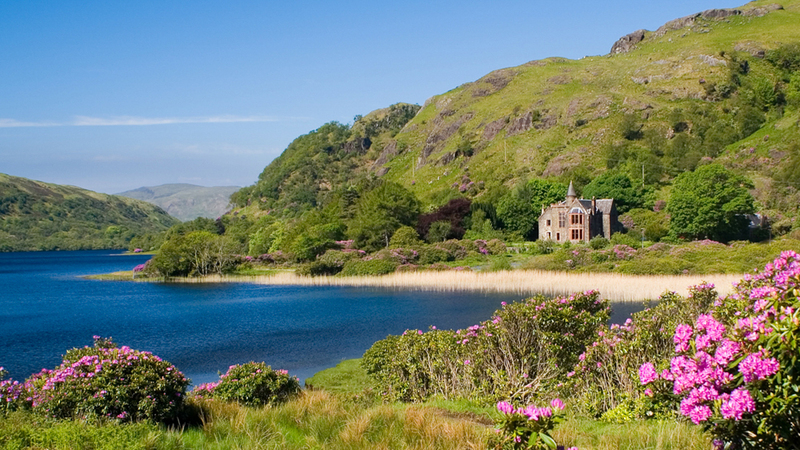 There’s a walled garden for the kids to run about and play and you look out over a loch – great for a swim on a warm day. For larger groups, you can also book Craig Ben Cottage, which is just next door. 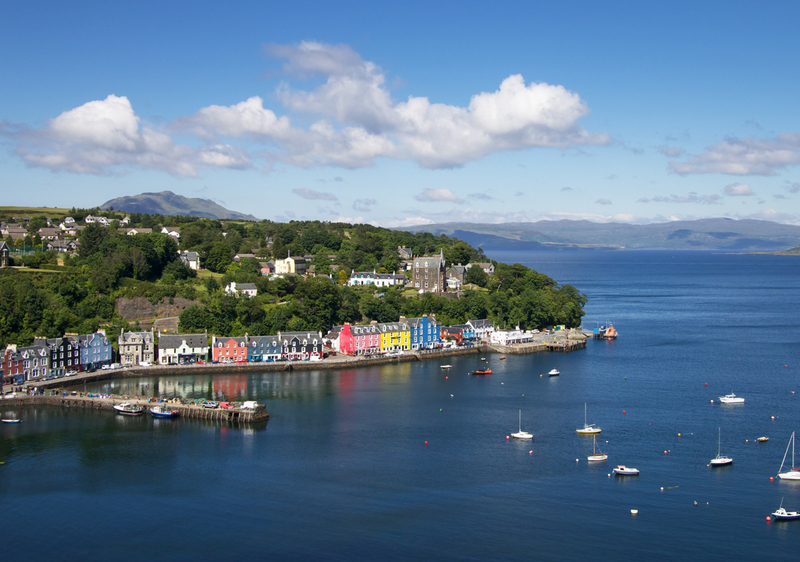 If your heart is set on colourful Tobermory, the location where children’s TV show Balamory was filmed, make Carnanamish your base. This spacious holiday home has all the attractions a family could want within easy reach. Even better is the contemporary design that grown-ups will love too. Whether it’s days out at the beach or exciting boat trips, there’s so much to do on a family holiday on Mull. In Tobermory alone, you can take the family to explore the exhibits at Mull Museum, meet the island’s marine neighbours at the Mull Aquarium or simply build sandcastles on the beach. Should wet weather strike and you prefer to stay inside, the Rainydays play area will fast become a favourite. Discover more things to do on a rainy day. For adventurous families, there’s the opportunity for wild swimming, rugged country walks and even scenic pony trekking. Find more ideas for your family holiday on Mull in our guide to things to do. One of the greatest benefits of booking a self-catering cottage for your family holiday on Mull is that you can dine in or out. Eating out every day with the whole family can become expensive and doesn’t always suit your different needs and routines. 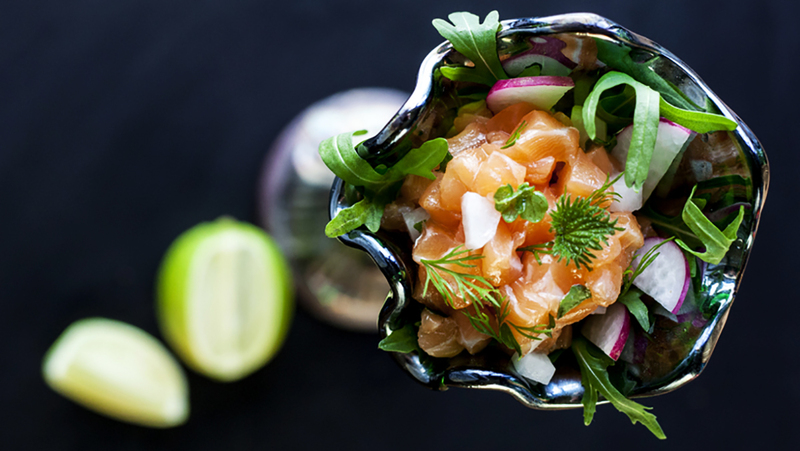 Our holiday homes are maintained to beautiful standards, with well-equipped kitchens that make preparing food a pleasure. 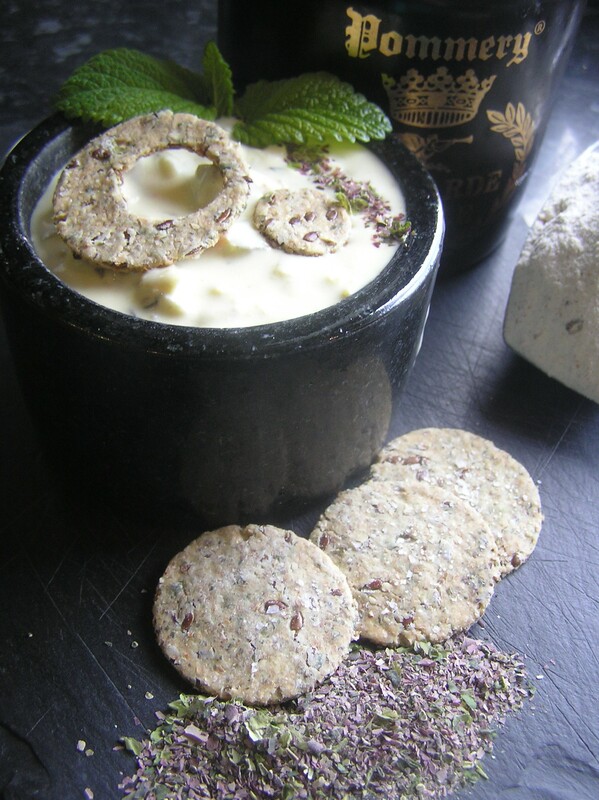 And if you want to eat at home but don’t fancy cooking, there’s the excellent Lochbuie Larder. 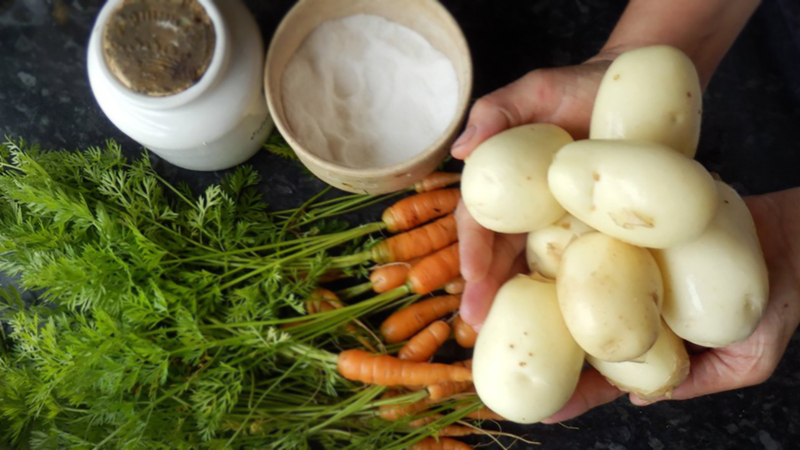 Offering home-cooked ready meals delivered on Mull, they’re well worth treating yourselves to. One of the most popular times to get together with family is the festive period. Many of our properties offer a magical base for your Christmas celebrations, complete with spectacular views, luxurious furnishings and some memorable island traditions. 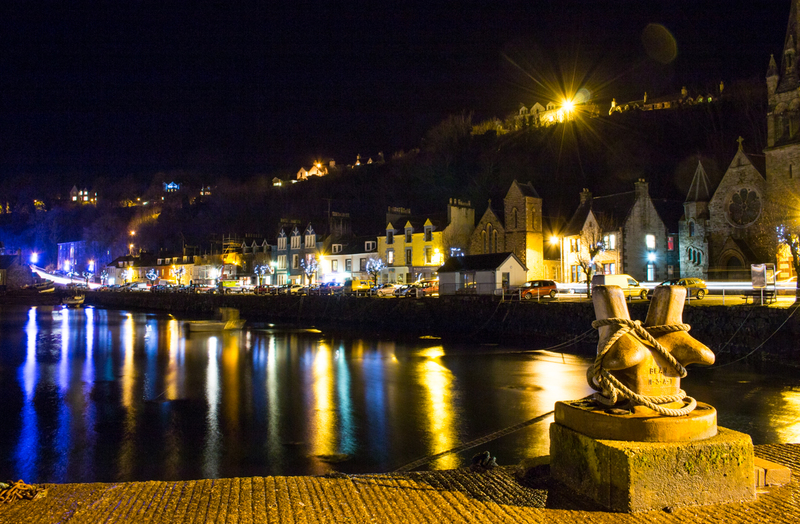 If you can’t get away for Christmas itself, you could visit to see the Tobermory Christmas lights turned on. It’s a feel-good family event that usually takes place in November. Start planning your family holiday on Mull today and browse our hand-picked holiday homes, perfect for families. In this blog post, you’ll follow the entire 300-mile island perimeter to discover the very best cottages for wildlife on Mull. Located in the south-east corner of Mull, not far from the ferry terminal at Craignure, Grasspoint Cottage has an idyllic location. Your chances of seeing marine wildlife greatly increase here, thanks to the sea wrapping around three sides of the old crofter’s cottage for two. Porpoises and dolphins are highlights on the water, while deer, eagles and otters are stars on shore. Discover more holiday cottages a stone’s throw from the sea here. 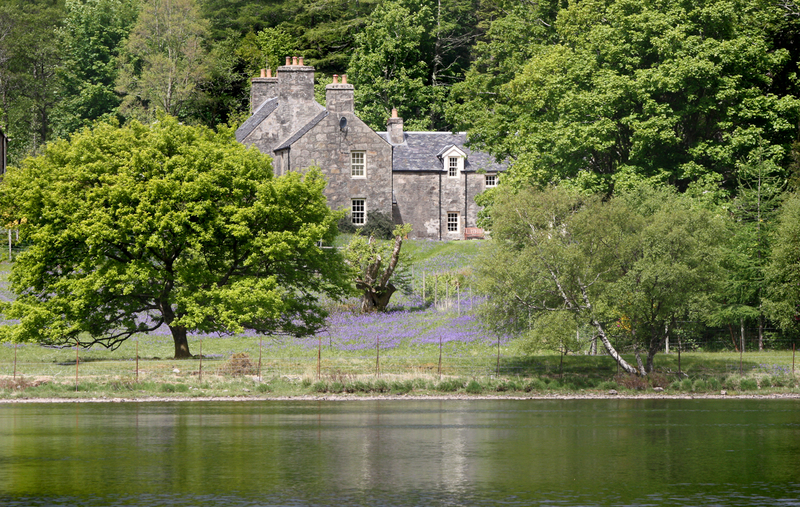 Tucked away on the shore of Loch Spelve, Croggan is a haven for wildlife. Wait patiently and you may even be rewarded with a view of an otter crunching up a crab for lunch! There are lovely rural walks from the doorstep of Tigh na Mara, which sleeps two, as well as a quiet beach a scenic walk away at Portfield. 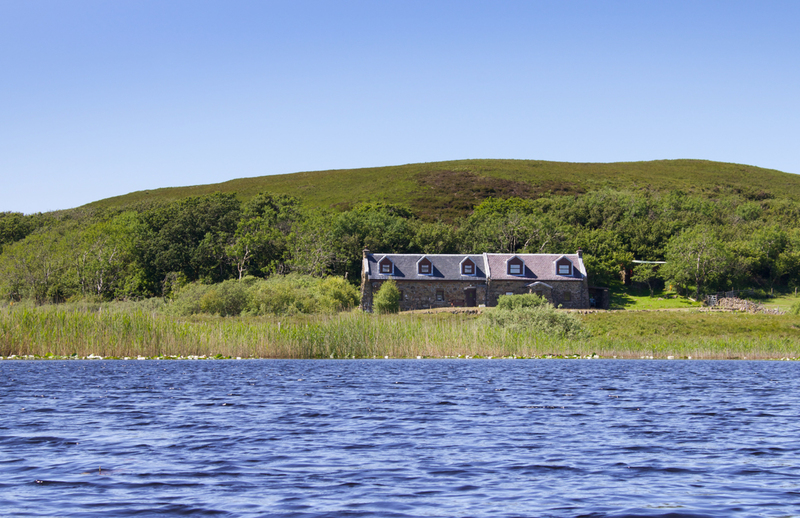 Presiding over the quiet shores of Loch Uisg, a freshwater loch between lochs Spelve and Buie, Craig Ben Lodge is ideal for group getaways, sleeping 10 people. The walled garden is a tranquil spot from which to watch the local wild and birdlife. Moving round to the Ross of Mull in the south west, Torr na Locha, which sleeps eight, has a stunning location by Loch Scridain. This house is another must-stay for marine wildlife on Mull. The chance to spot dolphins while enjoying an afternoon in the garden is not one to be missed! Set just inland of the island’s west coast by the side of the water on Loch Ba, Macquarie House is a tranquil hideaway loved by guests and wildlife on Mull alike! In the spring, a sea of bluebells decorate the lawn, while the deciduous woodland also returns to leaf. The varied habitats and proximity to Loch na Keal make this an excellent wildlife-watching base for groups of up to 10. 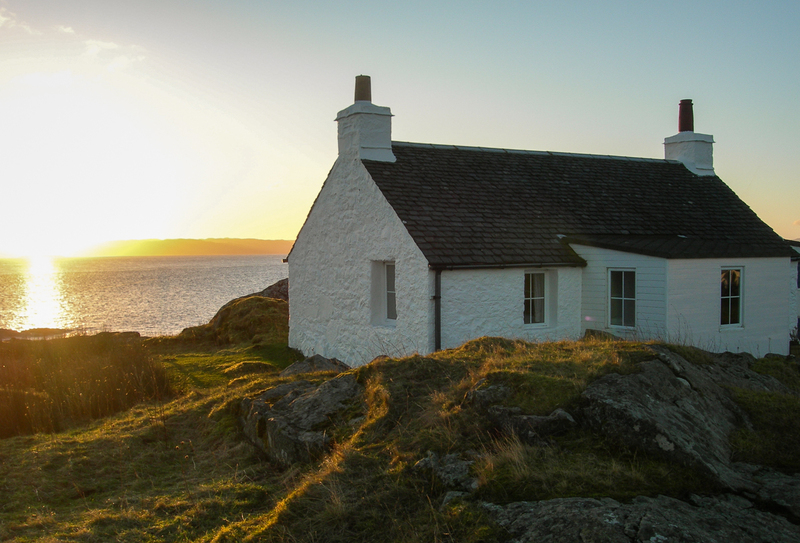 Further north up Mull’s west coast, you’ll find Snipe Cottage. 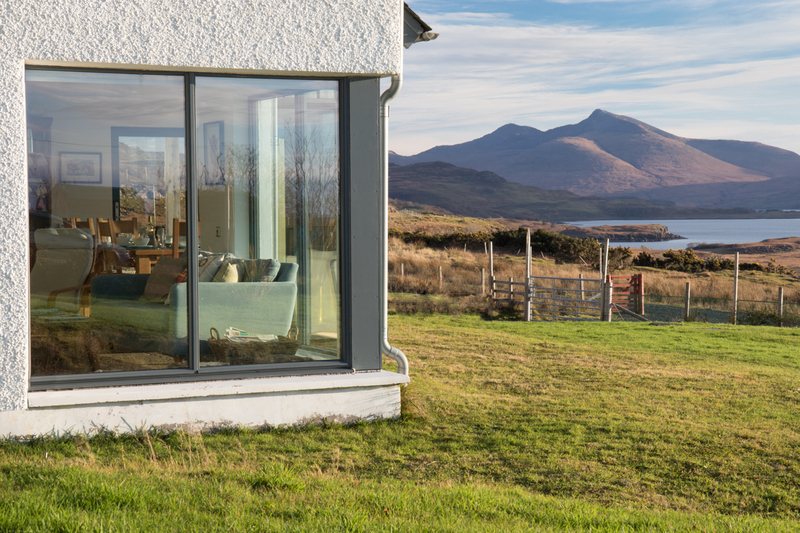 This contemporary house benefits from huge windows, which reveal excellent views over Loch Tuath. 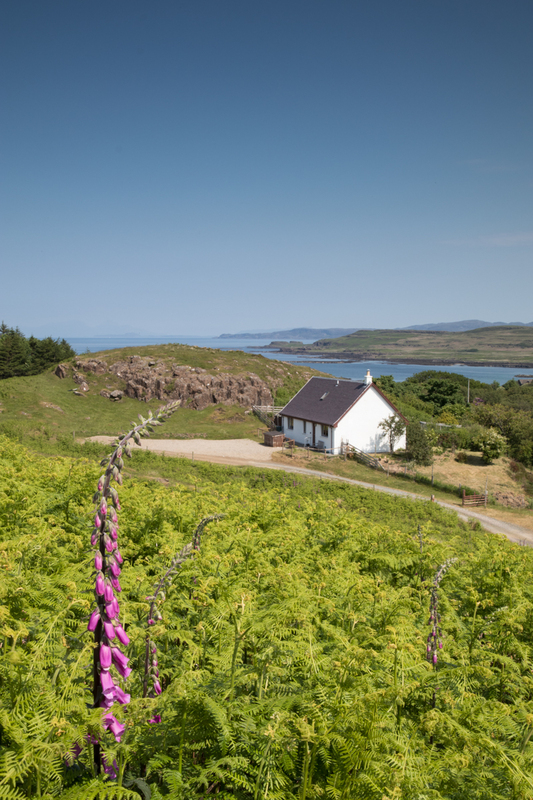 Beaches, mountains and lochs are all within easy reach of this house, giving guests ample opportunity to spot the ‘big five’ wildlife on Mull. In the north-west corner of the island lies Witch’s Cottage, which sleeps four. 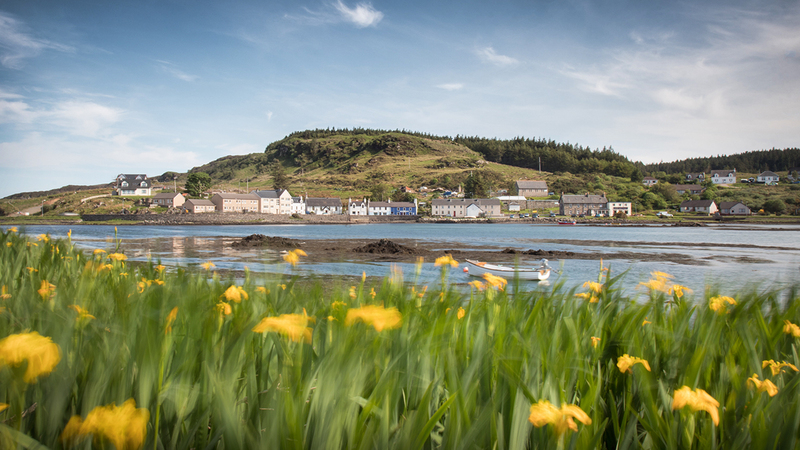 Croig is a charming spot, with a small harbour and some beautiful beaches to explore. The surrounding woodland and coast makes Witch’s Cottage a great location for watching wildlife on Mull. 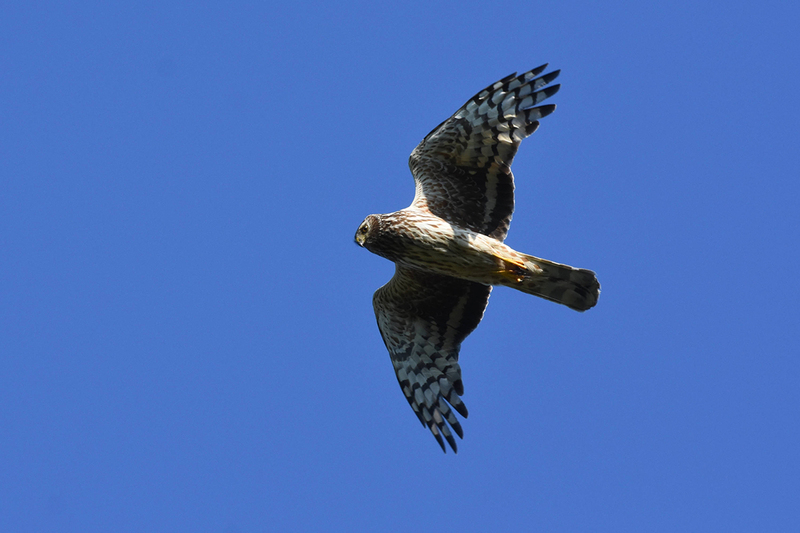 Scan the skies for soaring eagles or shelter by the rocky shore to wait for otters. 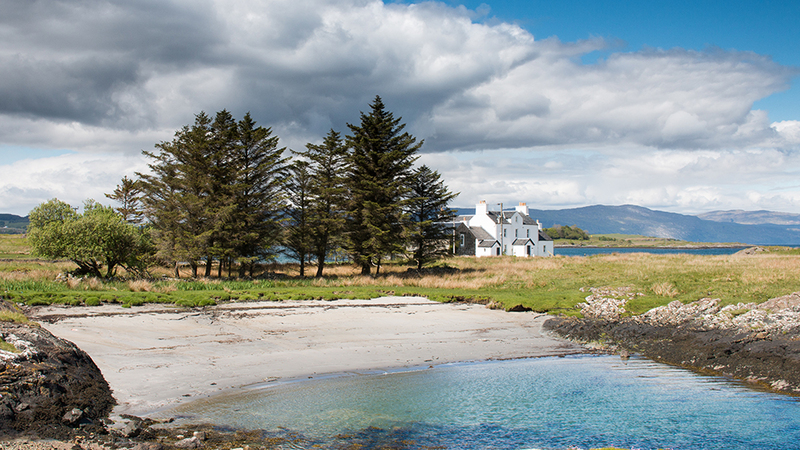 Discover some of Mull’s most magical remote holiday cottages here. Sleeping six, Daisy Cottage is perfect for a family holiday. 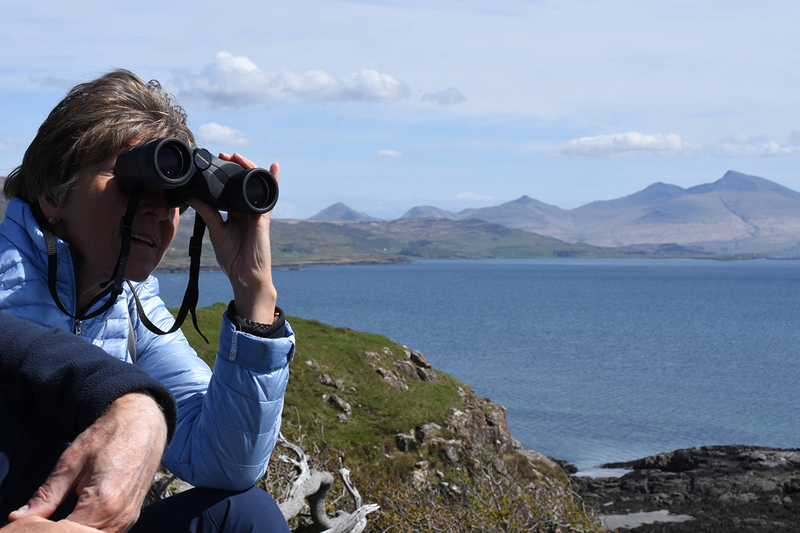 It’s also perfect for making the most of the wildlife on Mull, with an observatory, microscope and binoculars provided. White-tailed eagles are regular visitors to the area. The garden and pond also attracts varied wildlife, with cameras set up on site to help you spot it. 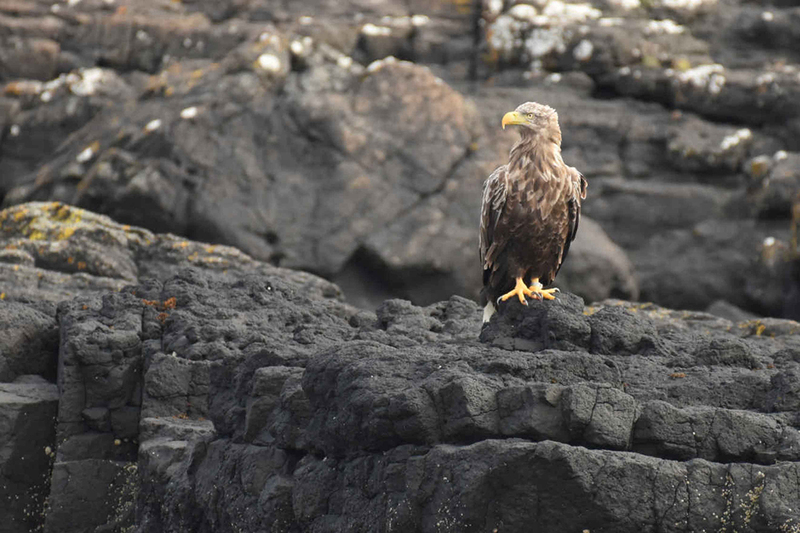 Find out more about Mull’s resident wildlife and the tours available. The unparalleled wildlife and landscapes are well-known reasons to visit Mull, but there’s more to the island than nature alone. Home to around 3,000 people, Mull has a brilliant community spirit with lots of cultural events and traditions going on. Here are just a few of them. Hogmanay, or New Year for those south of the border, is the only excuse islanders need to get together, enjoy good food and have a good old knees-up. Of course, with such a spirited party comes the dreaded walk home. Why not make it easy and book to stay at a cottage within staggering distance of an island inn? The picturesque Tilliepestle is located a stone’s throw from the oldest inn on the island, The Bellachroy in Dervaig. Or, you could try Bayview House in Bunessan to start the new year with stunning sea views after a night of merriment at the the local. In Tobermory, revellers are spoiled for choice with the Mishnish, MacGochans and others hosting parties into the wee hours. On the 25th of January every year, Scots far and wide get together to celebrate Burns Night. A celebration of poet Robert Burns, haggis is top of the menu (check out Ballygown Restaurant who make their own) and, if traditions are upheld, its arrival at dinnertime will be accompanied by a live performance of the bagpipes. It’s also the perfect occasion to sample some of the island’s local whisky, made at the Tobermory Distillery. From the 25th to the 29th April 2019, the island will be singing with musical talent as Mull Music Festival gets into full swing. Venues in Tobermory host the majority of the performances. Bands and musicians take over pubs, restaurants and hotels, transforming them into atmospheric live music venues. You’ll be shoulder-to-shoulder with visitors and locals, enjoying the best of Scottish folk and ceilidh music. 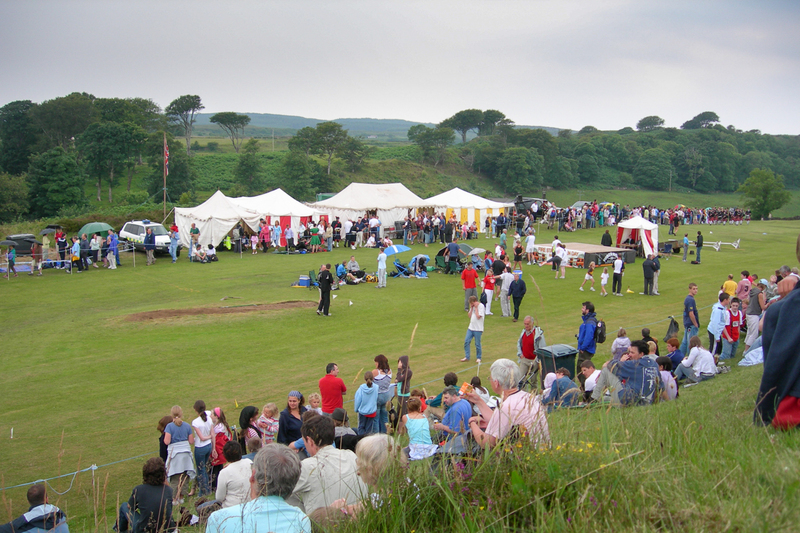 Visit Mull on Thursday 18th July 2019 to experience the island’s annual Highland Games. It’s a day that unites community spirit and competition, with visitors and locals turning out in droves. With piping, Scottish dancing and lots of sporting events, including the iconic caber toss, this is a truly Scottish day out and great fun for all the family. You’ll find 10 more family friendly island activities here. Usually held at Erray Park, stay at The Croft or Bookend Cottage and all the excitement will be just a short walk away. 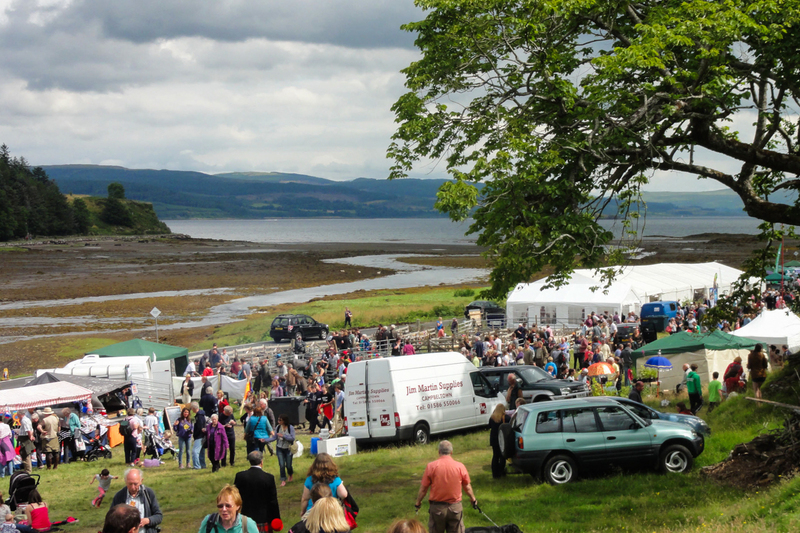 Both the villages of Salen on Mull’s east coast and Bunessan in the south west host a traditional agricultural show. The shows usually take place in August and are another excellent family day out. Livestock classes will bring you up close to the island’s famous Highland cows, while the dog and horse shows create quite a spectacle. There are lots of stalls to explore and plenty of delicious opportunities to try local food and drink. A long-standing favourite of all Mull’s island traditions is the Mull Rally, which sees the island buzzing with rally cars taking part in timed trials. 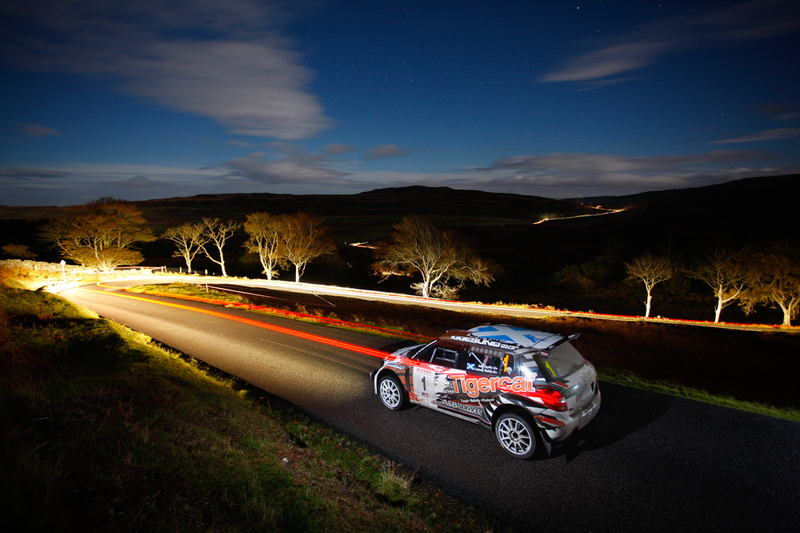 The Mull Rally takes place in mid-October every year. The island has a bustling feel and there’s plenty to do when you visit Mull, whether spectating the races or making the most of the ceilidhs over the weekend. 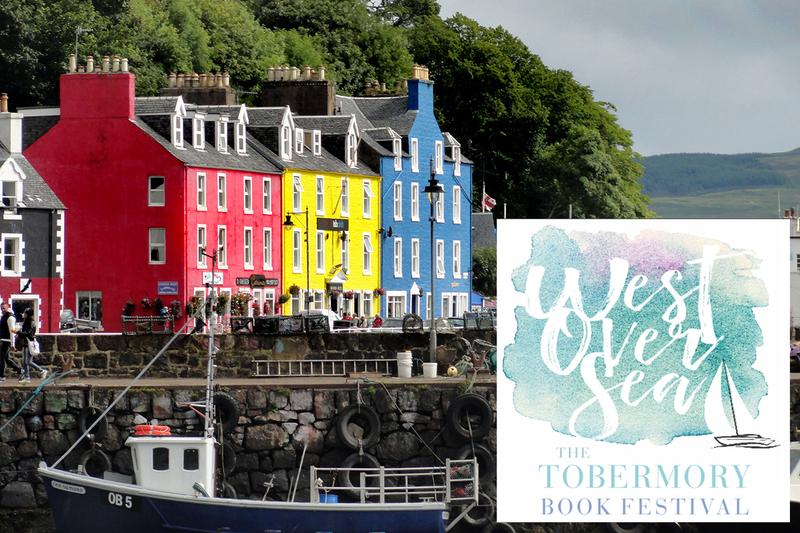 A tradition in its infancy, the Tobermory Book Festival launched in 2018. Spear-headed by a literary team of three, the festival offered visitors author meet-and-greets, book launches and readings, as well as live music. It’s an event we hope to see return and grow year-on-year. 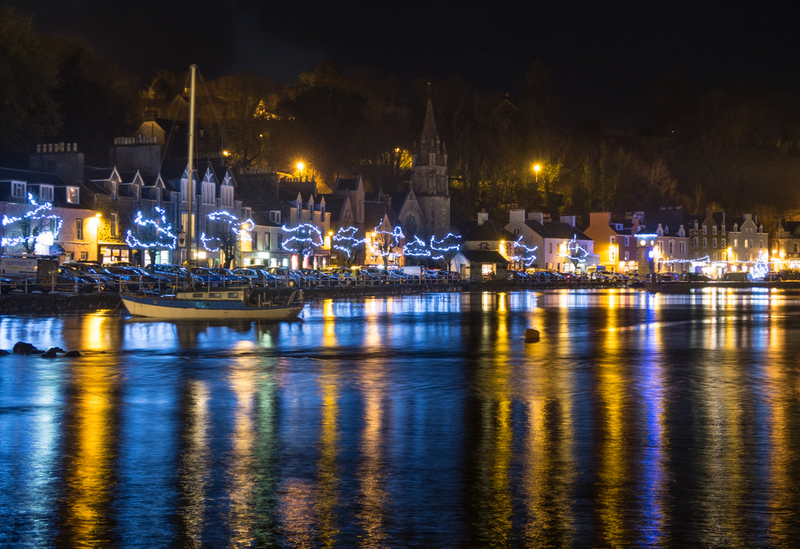 The turning on of the Christmas lights in Tobermory may be one of the year’s lesser-known traditions for visitors, but what it lacks in tourist publicity it makes up for with charm. The event usually takes place in November. 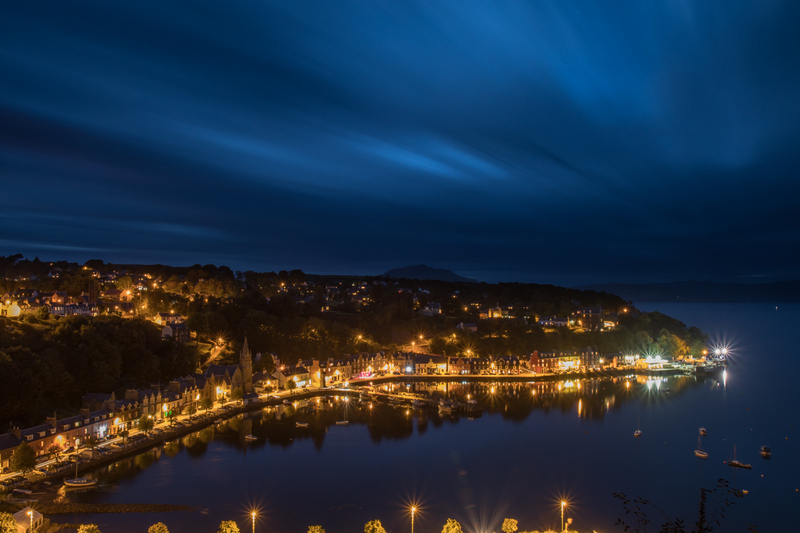 Come and watch Tobermory’s Main Street light up with festive illuminations and gather round the clock tower and Christmas tree. 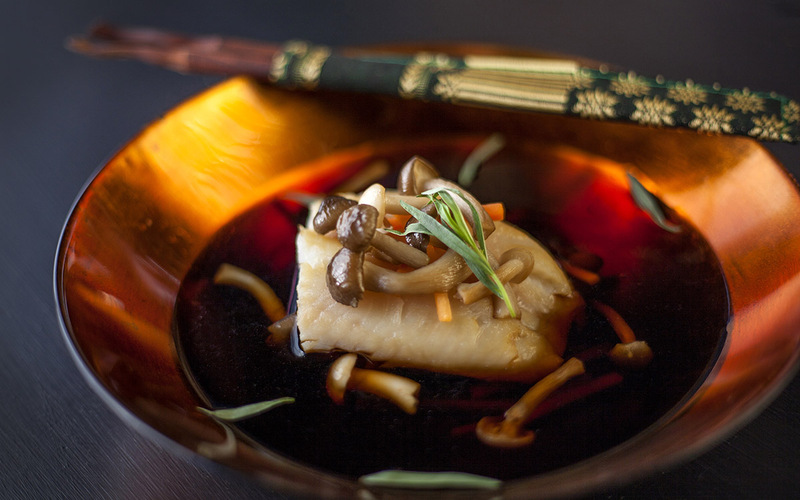 The shops, restaurants and pubs will be open late, with no shortage of treats to tempt you in. It’s the perfect way to get into the Christmas spirit and enjoy some late night shopping from local, island businesses. A great reason to visit Mull in winter. Find a brilliant holiday cottage for your getaway. If you visit Mull in the winter months, don’t miss out on cottages offering excellent short breaks. The Isle of Mull scenery has to be one of the island’s biggest attractions – mountains and glens, lochs and burns… this island packs a lot into its 338 square miles of space. Isle of Mull waterfalls are also in abundance and here we guide you to some of Mull’s most magical. Aros Park is well worth a visit, with pathways through forest that offer fun for all the family. But the waterfalls here are spectacular too, surrounded by lush ferns, trees and vegetation. If you’ve been before, visit in autumn when the leaves are a blaze of copper and red. It’ll feel like an entirely different experience again. Perhaps the most well know of all the Isle of Mull waterfalls is Eas Fors. 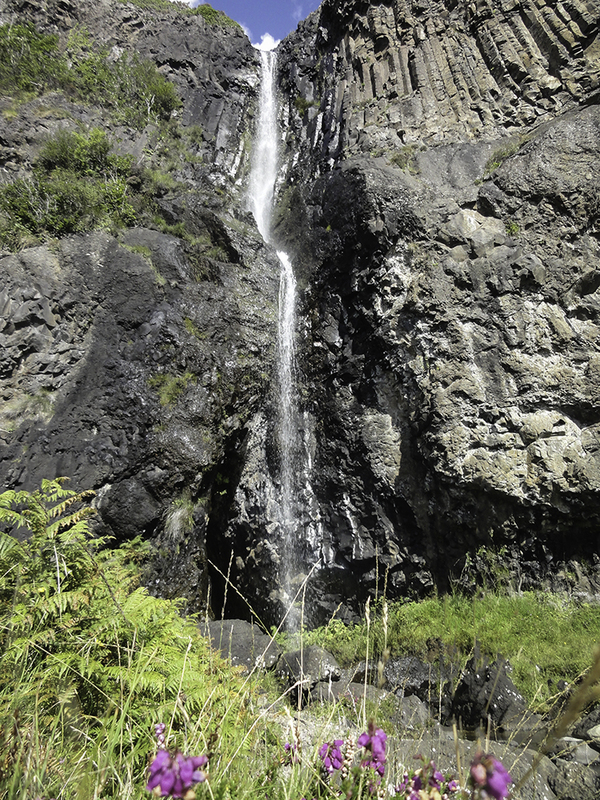 Located on the west coast of Mull, not far from the famed Isle of Mull scenery of Laggan Bay, these falls are easily accessible from the road. Flowing over three tiers, Eas Fors really is spectacular and a firm favourite with visitors and islanders alike. You can head up or down from the road to see each tier more closely, but take care over the rugged terrain and stay well clear of the drops. These Isle of Mull waterfalls have a character of their own, making them well worth the hike to get there. On the north-west side of Ben More, the Ben More pools burble across the landscape, meandering down smaller but more frequent rocky cascades. The water is magically clear and the falls frothy and soft – an amazing contrast to the mountains behind. Isle of Mull waterfalls are many and varied, especially after a spell of heavy rain. The fall along the Eas Mor burn has a beautiful, secluded woodland setting. The burn weaves through mossy banks and oak trees, trickling over a number of falls and passing through narrow dark gorges. It’s an altogether gentler, more serene experience, but no less lovely for that. Complete the experience by following the burn to the end, where you’ll reach the sandy Port Donain beach. 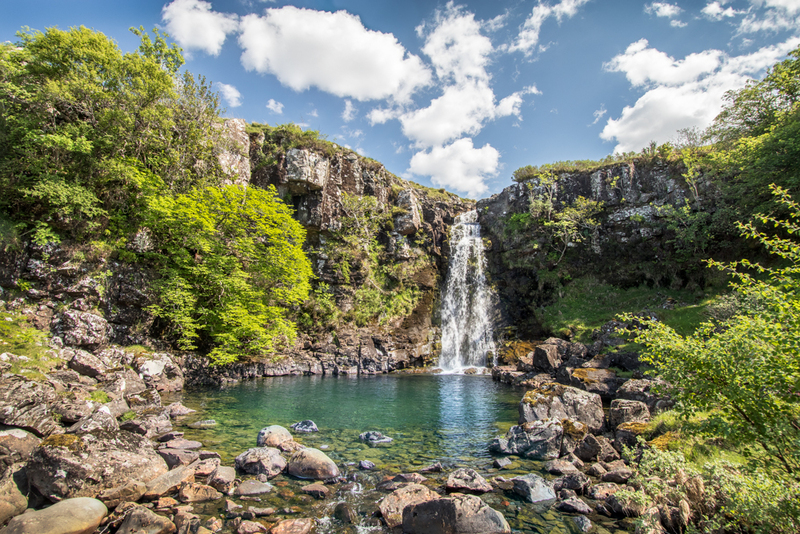 After a nail-biting drive with a plummeting drop to your right as you approach Carsaig, you’ll round a tight stone-walled bend, plunge into dappled shade and be grabbed by the sound of water rushing down beside a red telephone box! This is Eas na Dabhaich, a cascading burn the source of which is Loch Fraing on the hills above. This source keeps to falls flowing in all but the driest of weather. If you’re looking for hidden gems on thie island that most visitors have yet to discover, try the waterfalls that flow on the Loch na Keal side fo the Ben More hills. Here at Derryguaig the water cascades dramatically down a rock face into an immaculate blue pool, flanked by stones and surrounded by deciduous trees. 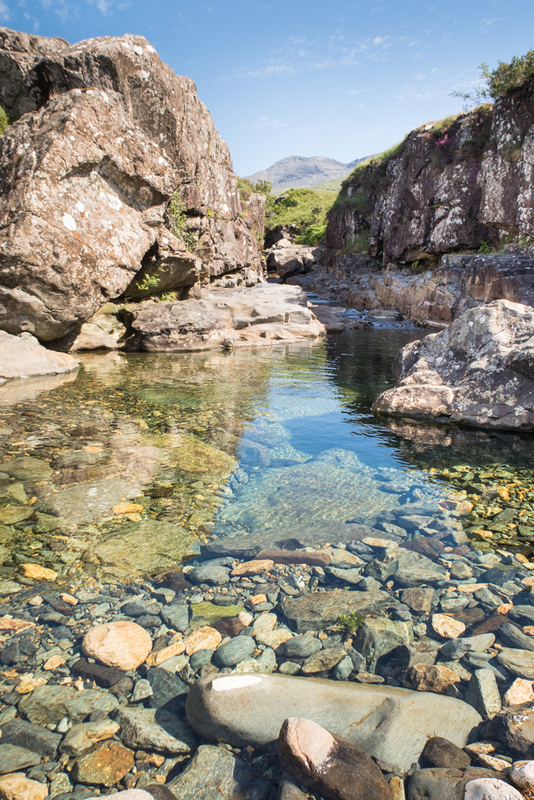 It could be paradise, and it certainly gives the beauty of Skye’s fairy pools a run for their money. Isle of Mull scenery ranges from rugged moorland to verdant woodland and rocky outcrops, and it’s the latter you’ll find when the burn Allt Airigh nan Caisteal flows into a waterfall. You might recognise this of all Isle of Mull waterfalls because it found fame during a storm here. The winds were so strong that the water was blown back up the falls – the video of this happening went viral and was featured on news outlets worldwide! As of 2018 our facebook video has been viewed 2.8 million times! On the South coast of Mull between Carsaig and Lochbuie you’ll find a beautiful fall at Rubha Dubh, where a channel of water slides down between two steep rockfaces. Cascading between columnar basalt down to the boulder shore below where a small pool supports some unique plant life. The best bit is you can walk behind this fall and look out to sea at to the waves crashing on the shore! 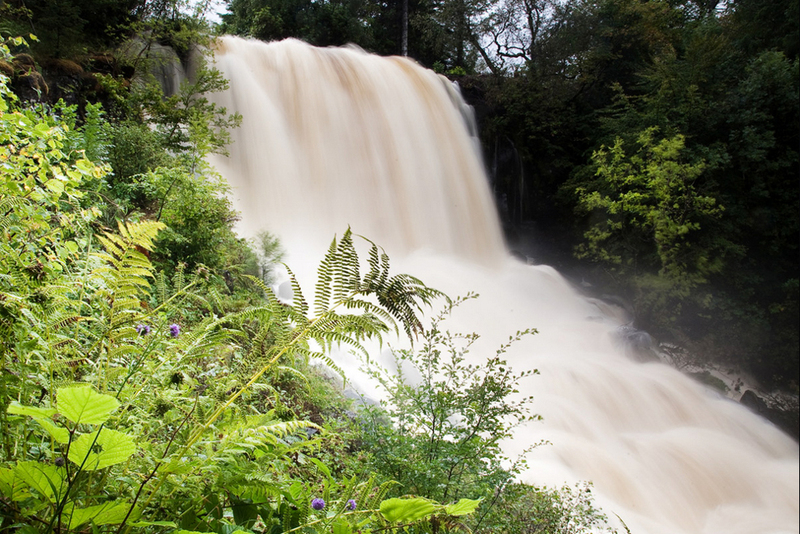 Which are your favourite Isle of Mull waterfalls and why? 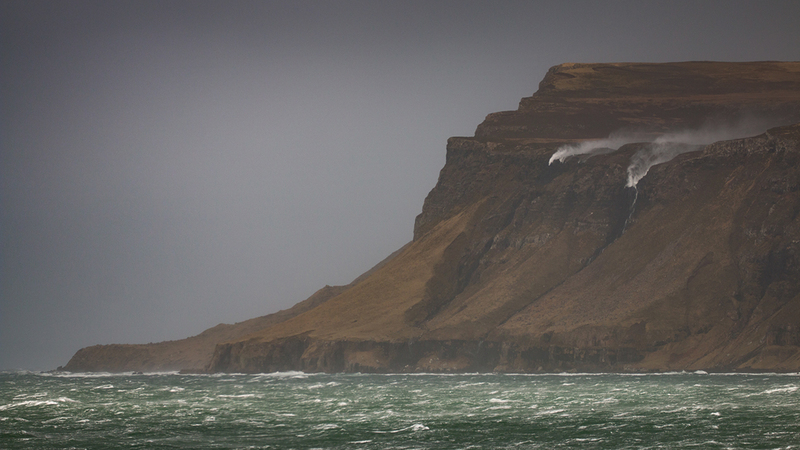 Get a new perspective on the Isle of Mull with these dizzy images! The Isle of Mull has a well deserved reputation as a photographer’s paradise. Little wonder, then, that many locations have been the subject of visitors’ photos time and again. We took to the skies to discover new perspectives of old favourite locations throughout the Isle of Mull and we hope you enjoy them too. We are going to focus on the beauty of the locations and the circumstances and timing of the images, perhaps inspiring a visit and stay in one of our hand picked range of holiday cottages on Mull. It was one of those perfect sunny days towards the end of March. A touch of warmth in the sunshine brings signs of spring to Mull, yet snows still clads the mountains and the days are just beginning to get lighter and longer. We timed our climb of Ben More to coincide with sunset, which at this time of the year drops behind the Isle of Ulva from this location. We took the circular route via Beinn Fhada and over the A’Cioch ridge before reaching the summit after dark and heading down the mountain to Dhiseig in the faint afterglow. The filming was a success with only light wind over the ridge. We’ve tackled this munro in the winter too – find out about our climb here. During the work on our guide to Mull’s islands we of course included Iona. Iona is a emerald gem of an isle with a important historical role that is matched by the richness of the fine machair grasslands, which back the white sandy beaches. With a population of around 150 people, Iona has one village – Baile Mor – which you see as you approach on the ferry from Mull. In this view you can see the row of traditional stone cottages, each with a seaward facing garden in front. There’s no doubt that some of Scotland’s best beaches are on the Isle of Mull. Be it the famous Calgary beach in the north, or one of the hidden coves on Mull’s south coast, with more than 20 beaches to visit there is something for every occasion. When working on our Isle of Mull beaches guide we visited one of the the more spectacular stretches of sand at Knockvologan. It was a still, sunny day in February. At this time of year the sun sets behind the south-west tip of Iona. The days are shorter and the low angle light provides perfect conditions for picking out the details in the landscape. This view looking south toward the distant Torran Rocks give a great perspective over the broad sweep of white sands that form the beach. In late May, the long days of early summer are well on the way. Mull’s landscape is mainly transformed into a rich verdant green. At this time rhododendron flowers are in full bloom and nowhere is the display more impressive than along the shoreline of Loch Uisg. The single track road to Lochbuie skirts the edge of the loch and the whole drive can resemble a giant natural garden at times! This image is looking west along the line of the Great Glen Fault, which runs under this part of Mull. The house is Craig Ben Lodge. It’s a beautiful property built in the Bryce Baronial style. Here we jump to early April on north Mull’s west coast and to the beach of Traigh na Cille at Kilninian. This is one of north Mull’s larger beaches. It is well known for its dark sand sediments, which you can see in this image form a distinct linear banding as the tide rises and falls. The name of beach means ‘beach of the cell’, as in a monastic cell. This is most likely a connection to the times of St. Columba on Iona and the growth in Christianity in western Scotland. This view looks to the north past Torloisk and towards Treshnish. On the first Sunday in June each year, the Isle of Mull Cycling Club organise and run the Isle of Mull Cyclesportive. Here you can see Mull cycling club members making their way along the shore of Loch na Keal. Pictured in late September, this photo is from a promotional video we made for the Sportive. It showcases the outstandingly beautiful route and explains how proceeds from entrance fees go towards good causes in the local community. This image looks over the Isle of Mull’s most westerly point near the village of Fionnphort on the Ross of Mull. Taken near sunset on a late September evening, the picture shows the Iona Ferry heading to its overnight mooring in the Bull Hole. This is the name for the channel of water that is protected by the small island of Eilean Nam Ban. The coastline here is made of a distinctive pink granite, which was at one time quarried and used as decorative stone in buildings throughout the world. On the west coast of north Mull you will discover a landscape of distinct terraced strata. In fact, most of the geology of north Mull is comprised of these ‘steps’, caused by volcanic lava flows which set into visible layers. Where burns and rivers flow down hill they become waterfalls as they pass these layers. One of the most dramatic is Eas Fors, which cascades straight into the sea at Loch Tuath. There is a parking area near these falls and a path explores the area – take care near the drop! Located on the Isle of Mull’s north coast, Port na Ba is a beach of fine white sands, aqua waters and views towards the isles of Rum, Eigg and Skye. Perfect for a paddle or swim, this photo shows the gently sloping sands and clarity of the sea. It’s a bird’s eye view that shows Mull’s coastline is beautiful from any angle! 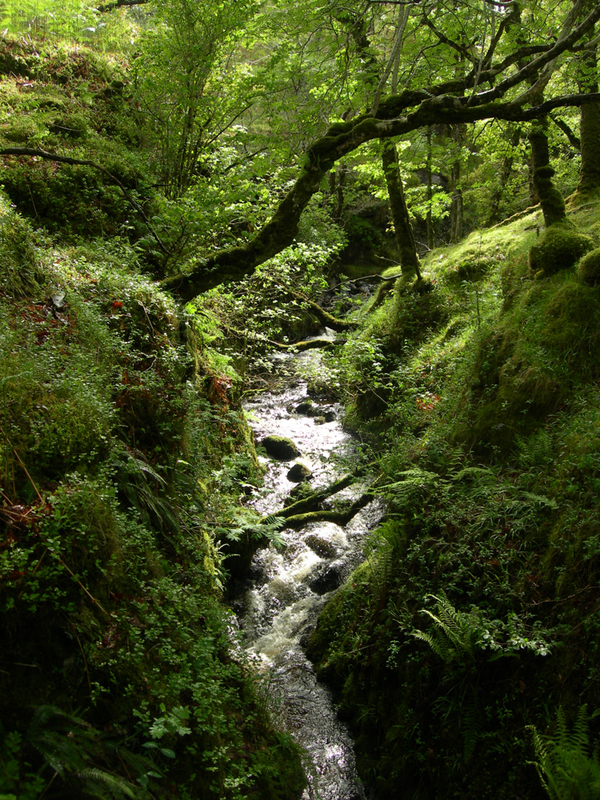 Situated in Mull’s south east, the river Lussa is one of Mul’s larger water courses. The catchment is in Mull’s mountainous interior and the river gains size from tributaries that join from the flanks of Creach Beinn. After cascading through a series of pools and a small gorge, the river enters the native oak woodland visible in this springtime photo. The image is taken from a vantage point just higher than the canopy of the trees, affording a view to the distant mountain Beinn Talaidh. Our final image in this collection shows a lone walker and dog crossing the long ridge of Beinn Fhada (702m) in the Isle of Mull’s interior. Mull has a well deserved reputation as one of the best islands for walking and this image typifies the at times wild but always beautiful nature of the island in the winter months. We hope these photos have inspired you to plan that next visit to the Isle of Mull and perhaps a relaxing break in one of our select range of quality holiday cottages. Which of these snapshots of the Isle of Mull do you like best? Have you visited any of these scenic places? 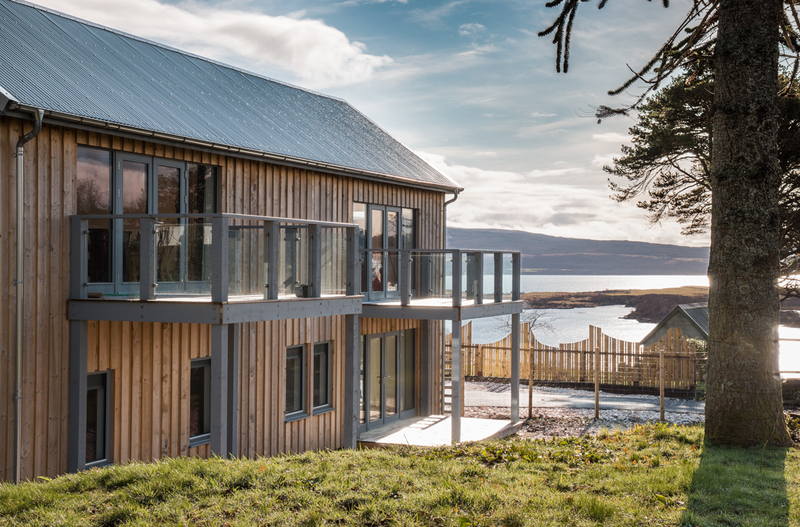 Large Holiday Houses on Mull: 5 of the Best! Wildlife, beaches, historical attractions. Awe-inspiring mountains, gorgeous glens and breathtaking lochs. Walking, cycling and kayaking – few islands can rival Mull in offering so much to its visitors. The range of activities to enjoy, as well as the range of places, makes Mull the perfect place for a group getaway or family holiday. 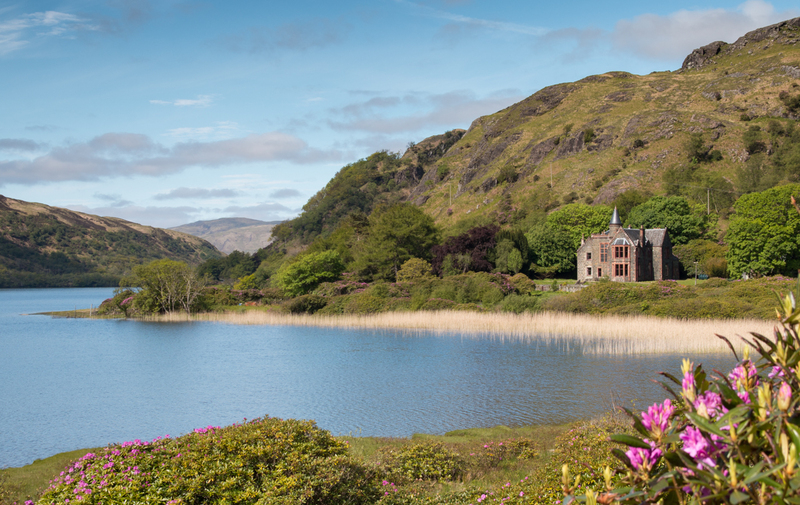 With that in mind, we’ve rounded up some of the best large holiday houses on Mull to help you plan your next adventure. 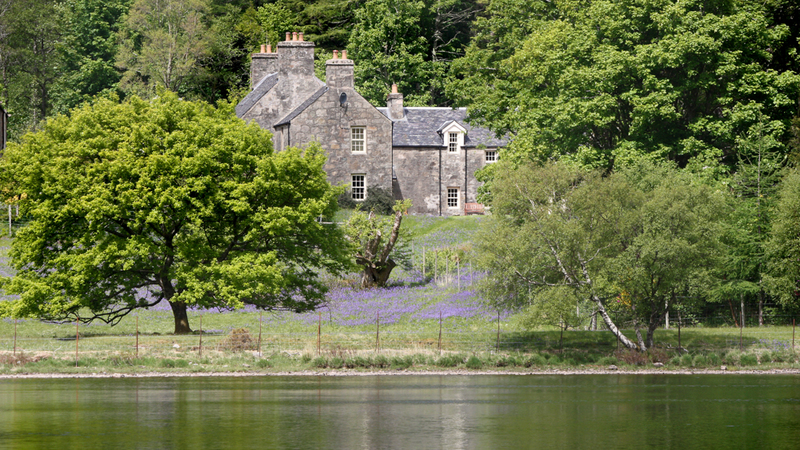 Set at the end of a private driveway and boasting a beautiful lochside setting, Gorsten House is the perfect choice if you’re looking for large holiday houses on Mull that have that something special. The only buildings that feature in your view are a castle and lighthouse, and with enormous glass windows to make the most of them from, you’ll enjoy the picturesque landscape at its best. Inside, the treats continue, with a sauna, steam room and clawfoot baths welcoming guests with warmth and indulgence. The living spaces themselves are appointed and furnished to the highest standards by the property’s artist owner, with playful lighting and patterns to surprise. Gorsten House sleeps eight people. Available from £1,200 per week. 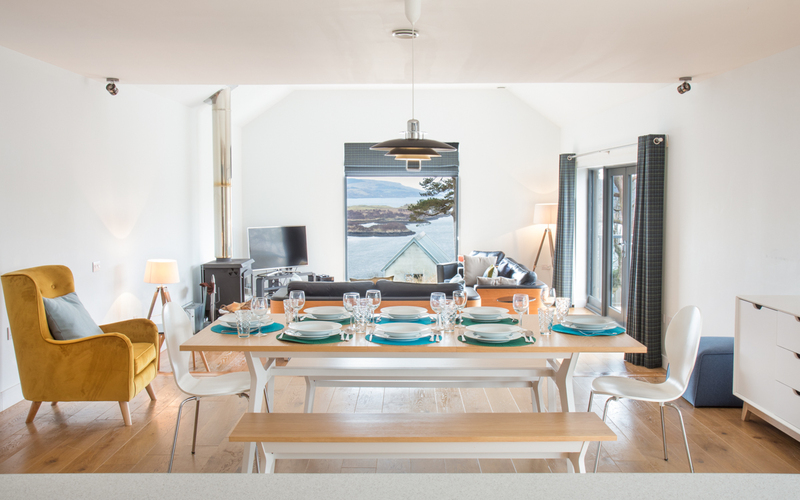 With flexible accommodation for up to 10 people, a kitchen diner, large dining room and multiple sitting rooms, the charming stone Macquarie House makes the ideal choice for families looking for large holiday houses on Mull. There’s also a convenient utility room for coats and boots after a busy day exploring the scenery around Loch Ba. There’s no need to worry about entertaining the kids on rainy days, either. Inside, you’ll find a pool table, table tennis, board games and books to keep everyone having fun. And if you do head outside, in the summer months both salmon and sea trout fishing, as well as boat trips, can be arranged. Macquarie House sleeps 9-10 people. Available from £995 per week. Grasspoint is a truly beautiful spot on Mull – you’ve probably driven down the narrow tracks to reach it yourself if you’ve visited the island before. But why limit yourself to a short visit when you could stay right here? The Old Ferry House enables you to do just this, located in what is undeniably one of Mull’s best locations. The stone house has character and charm aplenty, plus a cosy log burner to keep you toasty. Step outside and you’re right on the water’s edge, with rock pools and a fishing pier to enjoy. With the water comes wildlife. Keep your eyes peeled for sea eagles and hen harriers by air and porpoises and dolphins in the water. The Old Ferry House sleeps 8-10 people. Available from £995 per week. 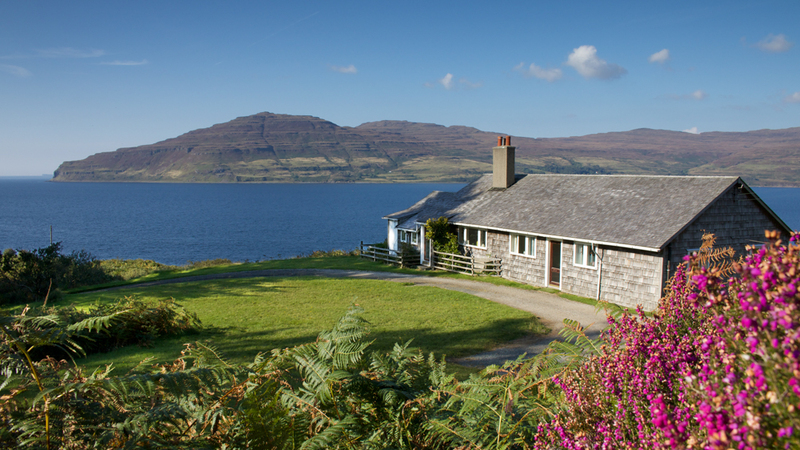 Head to the south-west of Mull and you’ll find Ormsaig Cottage, perched on the shores of Loch Scridian. 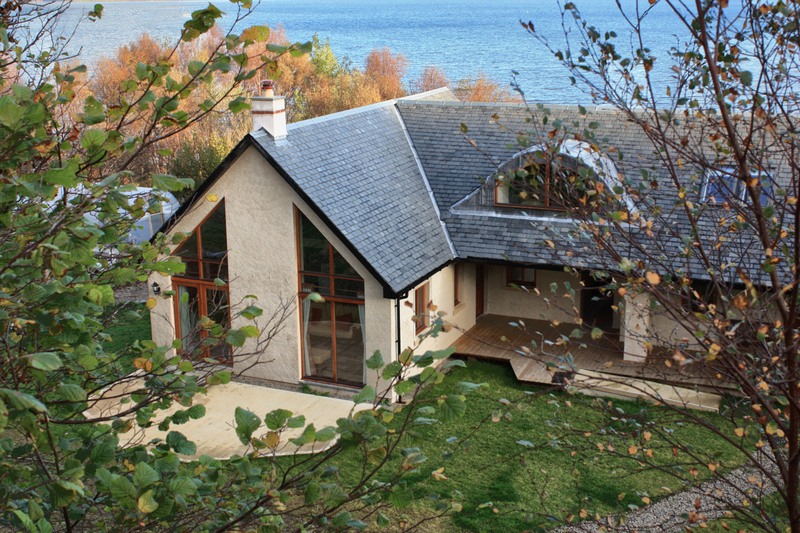 It’s the perfect choice for large holiday houses on Mull to share with your favourite people. Imagine sociable evenings in front of the open fire, with soft piano music played live in the background. How about enjoying dinner with family and friends while views of the Atlantic Ocean beckon from the window? Or a gentle group stroll to the nearby village of Bunessan, just in time for a pub lunch… Book Ormsaig Cottage and you can enjoy all of this and more! Ormsaig Cottage sleeps nine people. Available from £695 per week. Planning a group getaway to celebrate something special? Whether you’re looking for large holiday houses on Mull for a birthday, anniversary or simply some family time, the baronial Craig Ben Lodge offers just the right level of luxury for the occasion. Craig Ben Lodge sleeps 10 people. Available from £995 per week. Find the perfect place for your holiday today and make the family getaway you’ve been talking about happen. 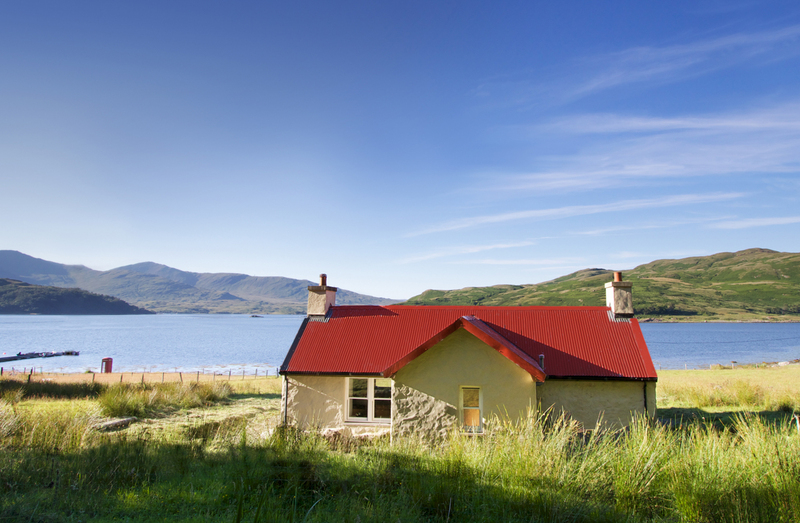 We make it easy to find the right holiday cottage for you with our large holiday houses on Mull. Have you stayed in any of our large holiday houses on Mull? Which was your favourite? Being an island off the west coast of Scotland, the Isle of Mull has no shortage of stunning beaches to tempt you. Here, we travel around the coast to bring you five of Mull’s best beaches. Ready to find inspiration for your next island getaway? If you’re staying on the Ross of Mull, you’re in prime position to visit Ardalanish Beach. It’s easy to reach from the car park close to Ardalanish Weavers. Once you’re on the sand, the beach offers a lovely walk with excellent coastal and hill views. The beach is surrounded by sand dunes but, if you can tear your eyes away and look up, it’s not unheard of tospot a white-tailed sea eagle here too! Warm up afterwards with a cup of coffee (and perhaps a new blanket) at Ardalanish Weavers. 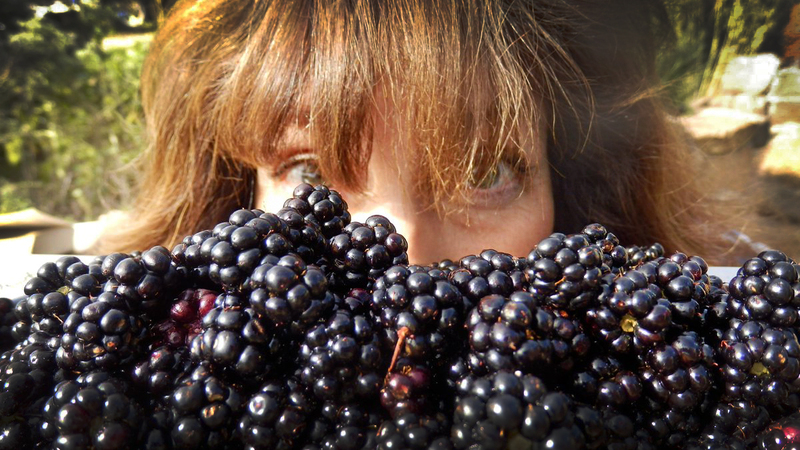 The Isle of Mull is famed for many things. A charming harbour town, breathtaking beaches and abundant wildlife are only the beginning. It is also an island of great history, where much of it has been carefully preserved. Plenty of historical attractions remain on the island on display for visitors to see. Here, we round-up seven brilliant historical attractions for you to visit on Mull. From castles to clans and old crofter’s cottages, you’ll find many memorable ways to step back in time on the island.